Considering the number of heads bobbing in the audience I was astounded that it wasn't a more common practice! 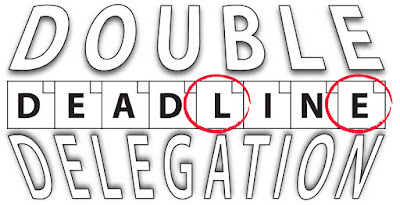 Which is why I've taken to calling this The 3D Factor of Leadership: Double Deadline Delegation. The basics of it are that if you have a tough and absolute deadline in your project, then you shouldn't wait for the deadline to find out whether the team can make it or will miss it. Instead, set a preliminary deadline to check the status, which allows you, as leader, time to react. 1. Identify the task that needs to be completed. 4. Identify who is the most likely candidate(s) to complete the work. If a team will work on the task, pick one person to be primarily responsible for the task. 6. If there are multiple people working on the task, bring them all together, identify the task with the guidelines / constraints, the primary responsible for the task, the Double Deadline, and the Drop Dead Deadline. 7. Let the team work! 8. Circle around to the team every now and then to ensure progress and no new obstacles. 9. 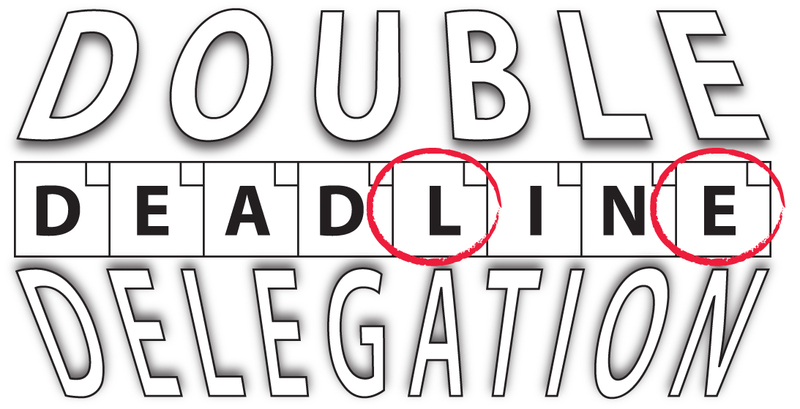 Ensure that the primary responsible meets the Double Deadline update. 10. Adjust the plan from there. This can be seen as a lot of steps, however, as you get better at this, you will find that you do a lot of this automatically, and can perform Double Deadline Delegation quickly, in many cases within your own head (especially if the delegation is to a single person, rather than a team). I would love to learn what tips and tricks you use on a regular basis as a leader. Please feel free to comment below and let me know. I'm sure people have tips they use regularly which are not common to me!